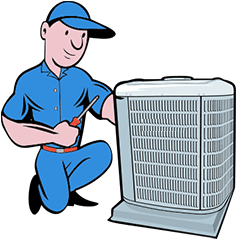 www.serviceandrepaircenter.in is an online assistance for enabling and assisting you with the best repair services on time at affordable cost, at your location. The service providers from our end will be verified and Service and Repair Center shall make the best of efforts to resolve the dispute with your appliances. We would advise users to exhibit the best of their discretion to make a choice. We don’t take repair services in case of the appliance are within the warranty period of the manufacturer. Website or company would have no liability for any loss or damage incurring to you due to any miss communications of the service required. We are committed to making your experience on the Web Site most helpful one. If you are a service seeker, once you put in your requirement through a call to the customer care for the require service. The customer care center of Service and Repair Center will inform the qualified technicians and you will get a SMS with the details of the technicians visiting your premises and confirmation of the same. Even after Two days after a service scheduled and done, if there is no complaint from service seeker, the service will be marked as closed by www.serviceandrepaircenter.in. After which no complaint regarding same service will not be entertained. The charges will be shared for services in brief for replacements/parts or spare parts/warranties/guarantees/ Consumables and other supplies, we will not entertain any disputes arising in the matter of additional cost incurred. No refunds or credits will be provided for Service seeker's once charged. Refunds or credits may be granted in extenuating circumstances at sole discretion of Service and Repair Center. You may use the services for commercial or residential but you cannot promote the services of Service and Repair Center unless you are authorized to do so. Serviceandrepaircenter.in expressly disclaims any liability arising in connection with your use and/or viewing of any websites. You hereby agree to hold www.serviceandrepaircenter.in harmless from any liability that may result from the use of links that may appear on the website. You are solely responsible for any content that you submit or post on www.serviceandrepaircenter.in. You may not post or submit any content that is defamatory, sexually explicit, derogatory to any caste. If the post(s) do not bide with these guidelines, it would be removed from the website. The company reserves the right to bar you from using the Website or take legal action against you. If you wish to book a Technician/Private Repair Professional via our website www.serviceandrepaircenter.in, or by calling us, you must agree to the terms below as the exclusive basis which governs such booking and must click “ I agree to Service and Repair Center terms and conditions” box on the main registration and booking contacts information page. If you do not agree to any of the terms, do not book a Private Repair Professional/Technician via this website. If you are booking on behalf of someone else, by clicking "I agree to Service and Repair Center’s Terms & Conditions", you are representing that you have their authorization to accept these terms and conditions on their behalf. Definitions You – acting as a customer, registering a new booking/case with the company. Company – The Company hereby referred to as Service and Repair Center. Booking/Complaints– effected via the registration with the website for availing / booking of the technician / repair professional for availing the services. Bookings can be made for single services or split/multiple repair services. Agreed Time - The appointed date and time for your services to be provided and as mentioned in the registration form. Professionals/Service Provider – Professionals and Service Provider are interchangeable terms used for Technicians or Private Repair Professional registered with the Company to offer their services to the end customers. a) The Company provides technology based services for providing home solutions in Delhi / NCR (National Capital Region) Mumbai, Ahmedabad, Kolkata, Hyderabad, Pune such as repairing / services of home products to you and you agree to obtain the services offered by third party technicians / Service Providers / Private Repair Professionals ("the Service Provider"). All the Services provided by the Company to you by means of your use of the registration on website of the Company are hereinafter referred to as the "Service." b) The entire Booking request as may be directed by the customer shall be forward to the concerned repair professional/service provider by the Company. The Service Provider shall be provided on availability basis and the same shall be communicated to the customer through the company internal mechanism procedure, however, it is clarified that on availability of the Service Provider, the communication details of Service Provider & Customer shall be shared between both of them by the Company for the ease of both the parties to perform or exercise their rights & obligations. c) In case, the Service Provider accepts the booking request made by you with the Company, your information is sent to the Service provider including your name, contact number etc. d) Company shall endeavor reasonable efforts to bring you in contact with the Service Provider in order to render the required service subject to availability of the Service Provider in or around your location at the time of your booking request made to the Company. e) It is pertinent to mention here that, the Company itself does not own / regulate the Service providers and neither there exist any employer / employee relation between them. It is the Service Provider who shall render the required services to you as per the relevant information submitted with the company while registering with the company. The provision of the services to be rendered by the Service Provider to you is therefore subject to the agreement (to be) entered into between you and the Service Provider and the Company shall never be a party to such agreement, in any manner whatsoever. Acceptance of booking request by the Company and the Service Provider does not reach your service location or decide not to render services, in that case / event the Company shall not be held liable to you in any manner whatsoever and neither the Customer is under obligation to make any payment in lieu thereof. f) You hereby certify and confirm that the relevant information you provide to the Company while registering your request or creation of account is accurate and complete in all respect as may be demanded by the Company in the application form. The Company is entitled to an all-time verify the information that you have provided. The Company shall not be liable if you do not visit the appropriate web portal or dial-in the correct call center number. The Company reserves the right to discontinue or introduce any of the modes of booking Service Provider. g) You will treat Service provider introduced to you through us with respect and not to cause damage to them or engage in any unlawful, threatening, harassing, abusive behavior or activity whilst using their service; h) Before handing over the products to be repaired the customer shall be cautious and ensure themselves about the credibility of the Service Provider and any defect in Service or theft/ damage to the asset; spare parts; accessories; products shall not be compensated by the Company in any manner whatsoever and it is clarified that that Company shall not be liable in any manner whatsoever, if any such harm/damage/ loss is caused to the Service Provider due to any such transfer or products to the Service provider for Service. i) You should confirm & clarify from the service provider about the time involved and the spare parts required to render the service including the total/aggregate service charges involved therein except the minimum cost before initiation of the Service. In case the same is not discussed, it is implied that the customer is aware of the service charges and has consented to avail the services as may be informed or directed by the service provider. j) You will compensate and defend the company fully against any claims or legal proceedings brought against us by any other person as a result of your breach of these Terms. k) Please note that we are not responsible for the behavior, actions or inactions, accuracy, efficiency of Service Provider, quality of Service which you may use (through us or otherwise). Any Contract for the provision of services is exclusively between you and the Service provider and not us in any manner whatsoever and we simply provide a platform to introduce Service provider and Customer seeking the said service. You will make payment in full to Service provider introduced to you through us for any services provided by such Service provider to you. You shall be required to pay the minimum charges & Repair charges along with the spare parts costs, if any installed or replaced / substituted in the products, to the Service Provider and the minimum service charges rates can be found on the Website of the Company. The Service charges shall be updated or amended from time to time and it shall be your responsibility to remain informed about the prevailing minimum charges for the services. And you should confirm the same from the Service provider about the service charge for the repair of the products before initiation of the Service. You agree that you will pay for all services you avail from the Service Provider either by way of cash, cheque, online payment, or any other payment method introduced by the company. Any payment made is non-refundable. After the completion of the Service, we will facilitate for you to receive a copy of the acknowledgement from the Service Provider on your registered e-mail account with the Company. By accepting these User Terms, you agree that you shall defend, indemnify and hold the Company, its affiliates, its licensors, and each of their officers, directors, other users, employees, attorneys and agents harmless from and against any and all claims, costs, damages, losses, liabilities and expenses (including attorneys' fees and costs) arising out of or in connection with: (a) your violation or breach of any term of these User Terms or any applicable law or regulation, whether or not referenced herein; (b) your violation of any rights of any third party, including Service Providers arranged via the Application, or (c) your use or misuse of the Website. 1. The information, recommendations provided to you on or through the Website is for general information purposes only and does not constitute any advice. The Company will reasonably keep the Website and its contents correct and up to date but does not guarantee that (the contents of) the Website are free of errors, defects, malware and viruses or that the Website are correct, up to date and accurate in all means. 2. The Company shall further not be liable for damages resulting from the use of (or the inability to use) electronic means of communication with the Website, including – but not limited to – damages resulting from failure or delay in delivery of electronic communications, interception or manipulation of electronic communications by third parties or by computer programs used for electronic communications and transmission of viruses. 3. Without prejudice to the foregoing, and insofar as allowed under mandatory applicable law, the Company's aggregate liability shall in no event exceed an amount of INR 1000. 4. The quality of the services requested through the use of the Application or the Service is entirely the responsibility of the Service Provider who ultimately provides such services to you. The Company under no circumstance accepts liability in connection with and/or arising from the services provided by the Service Provider or any acts, action, behavior, conduct, and/or negligence on the part of the Service Provider. Any complaints about the services provided by the Service Provider should therefore be submitted to the Service Provider. 1. The Company is the sole owner of all the rights to the web site or any other digital media and its contents mentioned on the website. The content means its design, layout, text, images, graphics, sounds, video, etc. the website or any other digital media content embody trade secrets and intellectual property rights protected under applicable laws. All titles, ownership and intellectual property rights in the website and its content shall remain with the Company, its affiliates, agents, authorized representatives as the case may be. 3. All related icons and logos are trademarks or service marks or word marks of the Company in various jurisdictions and are protected under applicable copyrights, trademarks and other proprietary rights laws. The unauthorized copying, modification, use or publication of these marks is strictly prohibited. The Company collects and processes the personal data of the visitors/ registered customers of the Website and the promotional offers may be send by the Company on time to time basis unless the same is denied by them by informing to the Company. the Company and the arbitration shall be conducted in accordance with the provisions of Arbitration and Conciliation Act, 1996. The venue of arbitration shall be at MUMBAI. The arbitration proceedings shall be conducted in English. Any award made in such arbitration will be final and binding on the parties. The arbitrator shall have the authority to order specific performance of this agreement. Subject to the foregoing, the Courts at MUMBAI, Uttar Pradesh only shall have exclusive jurisdiction. 2. The Courts of Delhi shall have the sole and exclusive jurisdiction in respect of any matters arising from the use of the services offered by the Company or the agreement or arrangement between the Service provider and the Customer. All claims and disputes arising under this Terms and Conditions should be notified to the Service Provider or Company within 30 days from the service date after which no claim shall be entertained.